The upcoming watchOS 3 update for Apple Watch brings a number of new functions to the wearable device's side button, including quick access to "Medical ID" data for first responders, and a new "Emergency SOS" function that can call 9-1-1 and notify loved ones. Holding down the side button on an Apple Watch running watchOS 3 still brings up the ability to power down the device. But there are two more options that users can slide across to select: Medical ID and SOS. A user's Medical ID data is entered through the Health app on a connected iPhone, and is then automatically shared with the Apple Watch. Information such as the wearer's name, date of birth, weight, height, blood type, and whether they are an organ donor is presented. Apple has also offered Medical ID access on the iPhone for first responders since iOS 8 in 2014. The expansion to the Apple Watch is yet another way that medical personnel can access crucial information in a time of need. 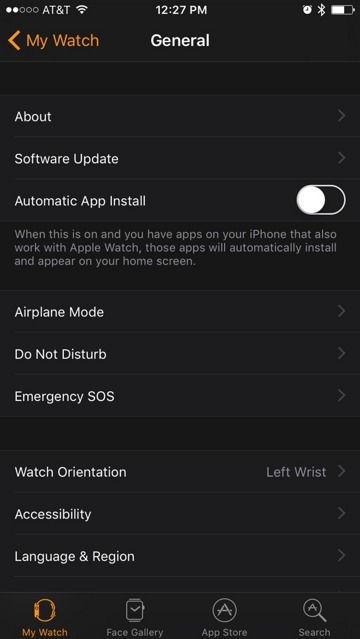 watchOS 3 also includes a new Emergency SOS option that can be swiped after holding the side button for six seconds. Using it causes the Apple Watch to attempt to call emergency services, either via cellular if an iPhone is connected and has signal, or over Wi-Fi directly. 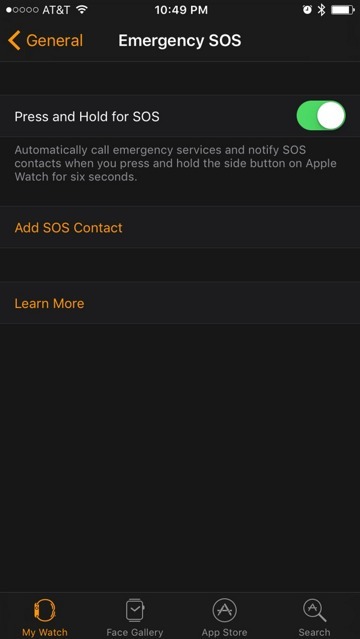 Users can also add SOS contacts via the Apple Watch app on an iPhone running iOS 10 or later. Anyone added here will be notified with a message saying the wearer placed an emergency call. 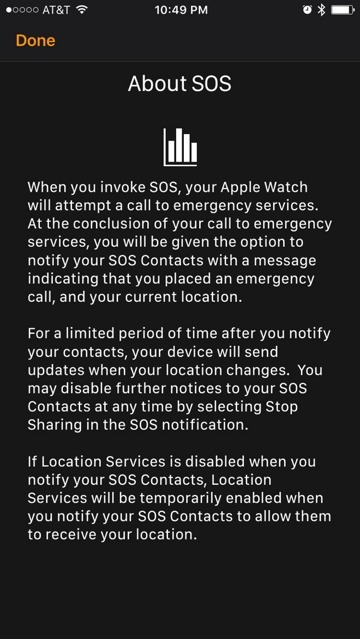 In addition, SOS contacts are also provided with the Apple Watch owner's current location. Contacts will also be provided with updates as the wearer's location changes. 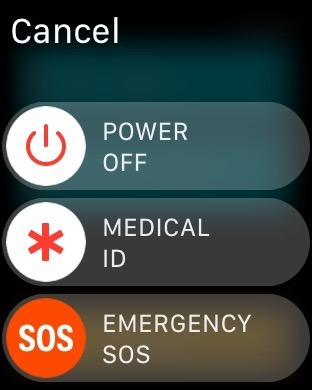 Once the crisis has been resolved, the Apple Watch user can select "Stop Sharing" within the SOS notification. SOS location sharing even works if the user has Location Services disabled on their Apple Watch. With watchOS 3, Location Services will be temporarily enabled in the case of an Emergency SOS, allowing contacts to stay up to date with the wearer's location. Both watchOS 3 and iOS 10 are currently in beta and are available to developers for testing. The free software updates are scheduled to launch this fall, likely in late September.